FREMANTLE will inform the AFL on Monday it intends to field an understrength ‘B team’ against Port Adelaide in Saturday’s final-round match at Adelaide Oval. Dockers coach Ross Lyon used his post-match press conference following Sunday night’s big win over Melbourne, which secured the minor premiership, to announce the plan. The club is trying to be as transparent as possible about the divisive tactic, which it hopes will refresh its players and lead to a breakthrough premiership. Lyon said it had not yet been decided how many stars would miss the Power clash. 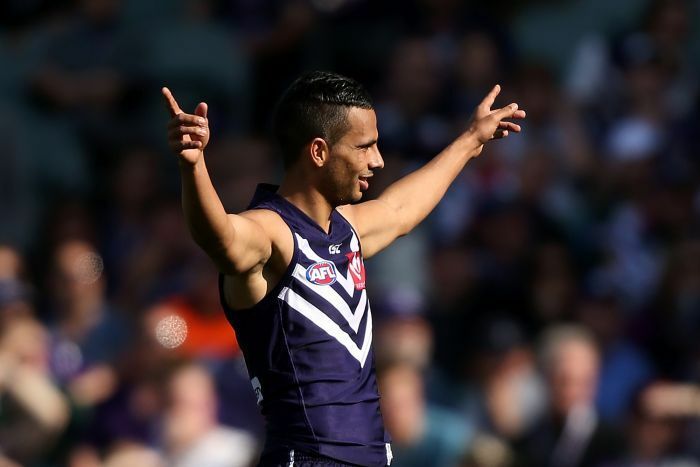 But key players Matthew Pavlich, Luke McPharlin, Aaron Sandilands, David Mundy and Stephen Hill all appear likely to be rested, along with Nat Fyfe and Hayden Ballantyne who are currently sidelined with injury. Lyon quoted the AFL rules on resting players, which say “management of player fatigue’’ is a legitimate competitive objective for teams leading into the finals. “We’ve earnt that opportunity, but that sits within the rules of the AFL,’’ he said. “We are fatigued and there does need to be management of our players. 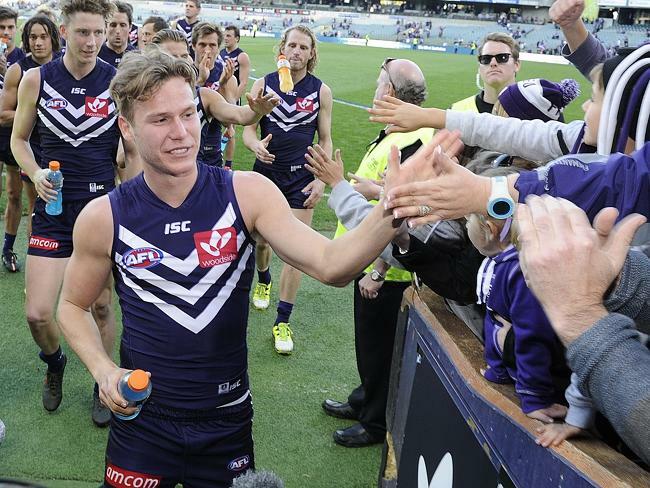 Fremantle’s early announcement helps alleviate some potential issues relating to betting markets on the match. However the move will hit WAFL host club Peel Thunder, which could be decimated for Sunday’s qualifying final against West Perth. Dockers defender Cameron Sutcliffe is expected to be available for a qualifying final, likely against Sydney, in a fortnight after dislocating his shoulder in the last quarter. Although Lyon was widely criticised for the tactic, it ended up working a treat — with a rested Fremantle outfit beating Geelong at Simonds Stadium in a qualifying final a week later.